Ross trained in General Surgery in New Zealand followed by international post Fellowship experience in Upper Gastrointestinal and Hepatobiliary Surgery at Groote Schuur Hospital in Cape Town, South Africa. 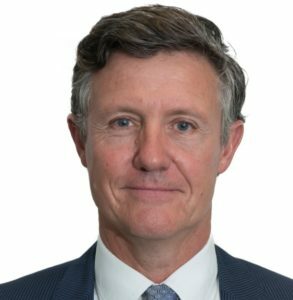 He is currently a General and Upper GI Surgeon working Christchurch Hospital and is the past Chair of the Upper GI, HPB and Obesity Surgery Section of Royal Australasian College of Surgeons (RACS) and past President of the Australian and New Zealand Gastric and Oesophageal Surgery Association (ANZGOSA). Ross has a particular interest in gastroesophageal reflux disease, upper GI malignancy, hernia surgery and the role of IT in surgery and audit. Innovations in Information Technology hold great promise for improved data collection and communication in surgery, however there are considerable challenges that have to be overcome. These include financial risk and budget constraints, limited clinician time, resistance to change, frequent staff changes plus the risk of breaching data security and patient privacy. This presentation illustrates these issues, and potential solutions, by examining the introduction of 3 systems at Christchurch Hospital namely FloView (acute electronic whiteboard), Celo (secure messaging) and scOPe (patient theatre bookings and surgical audit) and by describing the hurdles and rewards encountered.